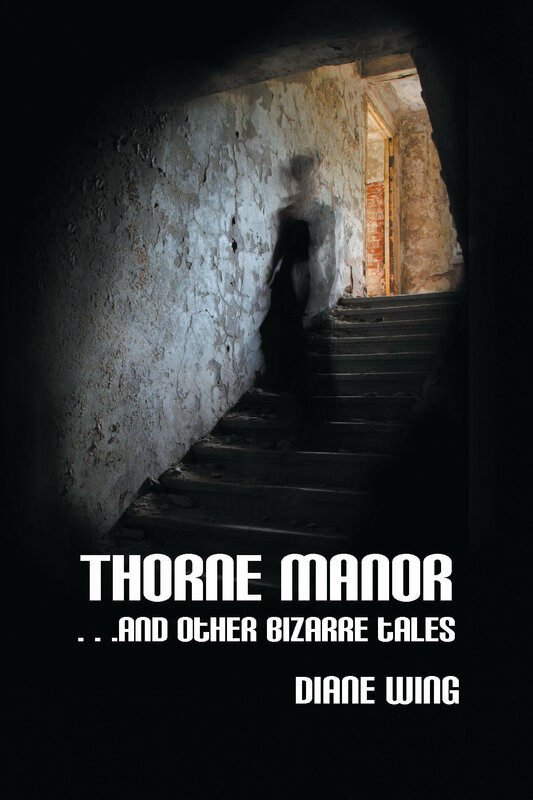 Thorne Manor and other bizarre tales takes you on a journey through madness with haunted people and places. The reader enters a reality where the world only appears normal -- underlying is a dark world of occult influence, dangerous beliefs, and fearsome energies. Thorne Manor: Meet Heather, a woman trying to separate herself from an emotionally abusive ex-husband. While pursuing her dream of opening a business, she finds herself in an old, abandoned mansion that houses a sinister secret. Guardian at the Gate: A demon with plans to take over the world is given a leadership makeover. The Black Sheep: A troubled, clairaudient girl rejects her psychotherapist when a new spirit begins to counsel her. The Quiet Neighbors: A housewife's first attempt at witchcraft backfires. By Invitation Only: A grieving pet owner is visited by an unusual creature. Dream State: A woman's dreams become deadly reality. Good Riddance: A man's hatred for cats creates an unexpected result.